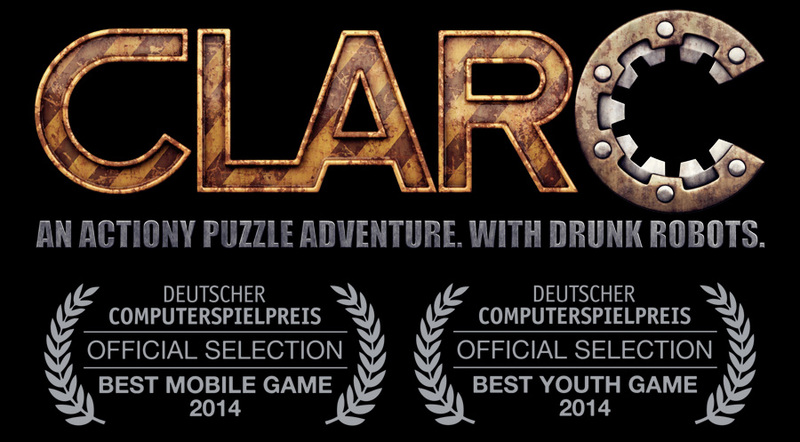 CLARC is now nominated for the Deutscher Computerspielpreis 2014, which is the most important video game award in Germany. CLARC is nominated in two out of seven categories: “Bestes Mobiles Spiel” (“Best Mobile Game“) and “Bestes Jugendspiel” (“Best Youth Game“). We are extremely honored that the judges chose CLARC twice. Needless to say that we are extremely happy to be honored in this way with our very first game. Thank you! We’re looking forward to the award show on May 15th in Munich!